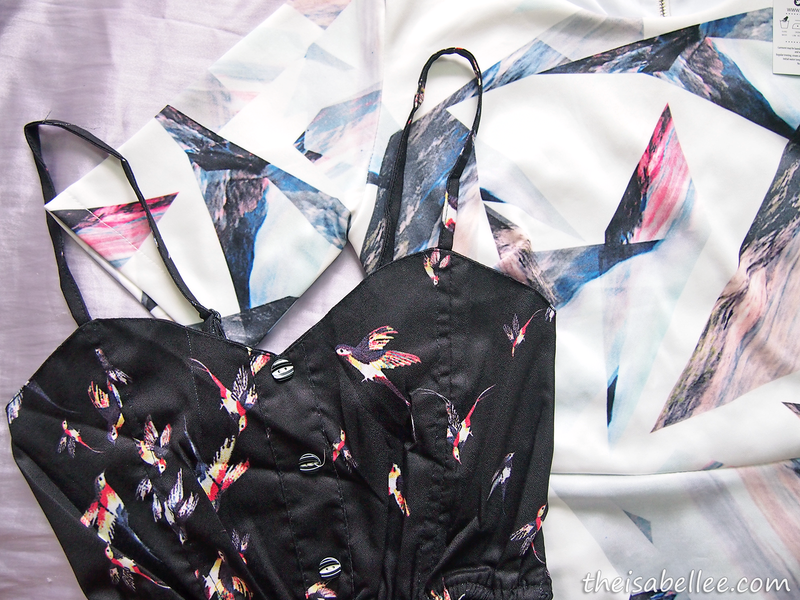 Got this duo from Megafash~ I was particularly excited for the black romper because it has sparrow prints! How adorable.. Thanks mum for helping me take these photos lolol She was squatting on the floor to give me the long-legs-effect haha! 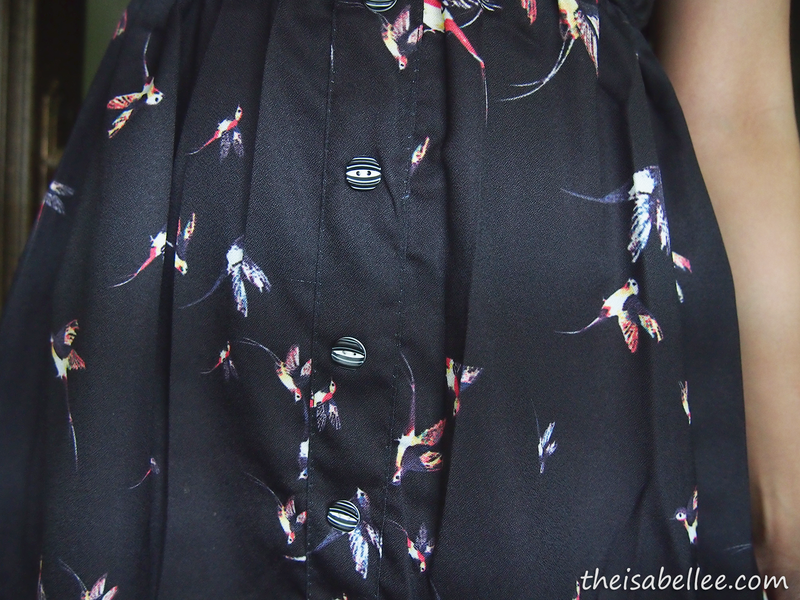 It fits perfectly and the soft skirt gives it a girly twirl teehee! The material is not bad and it isn't see-through. Buttons are fake btw.. If you're gonna shop there, make sure you use my code for a discount ^_^ Minimum order 20SGD.